You just moved into the neighboorhood. You are a big red bulb with tasty greens and like to chill out in the cooler temps. So what is the most ideal beets companion plant to keep things cool and chill in the hood? You might be thinking why does it even matter what I plant my garden next to each other. Most of the time you really don’t have to think too much about what plants should be planted together. Many think that it is not necessary or beneficial. Well, our thoughts from Green Thumb Gardener say that it is somewhat beneficial. Going down a list of my garden task for any vegetable always include a core set of guidelines such as watering, light requirements, etc. Ok, so do you really just want to know what the best beet companion plants are? I get it, you need to get back into the garden to get your hands dirty anyway. The best beet companion plants are by far Bush Beans, Onions, Kohlrabi, Lettuce, Cabbage, and Brussel Sprouts. 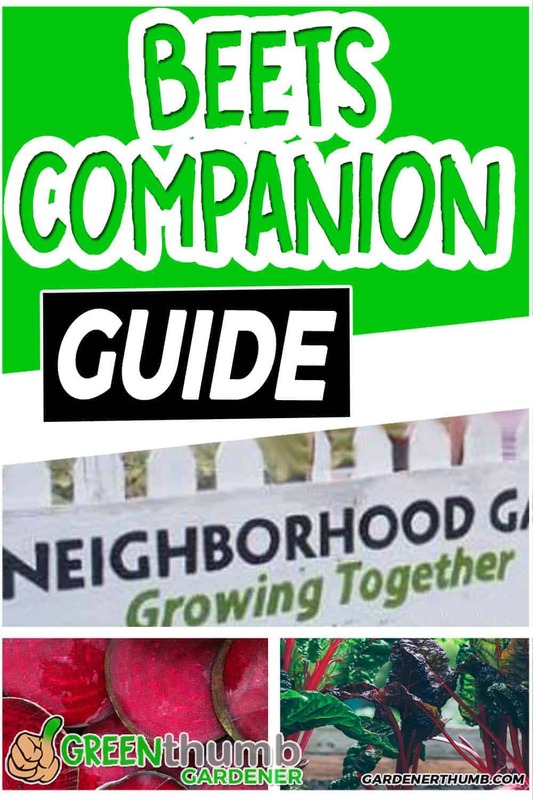 Companion planting is one of the lower considered factors in our own gardens. This does not mean that we don’t factor what plants are best to be planted next to each other. So you might still ask then what’s in it for my vegetables and more importantly for my favorite beets. 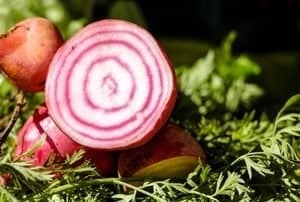 We will explore some compelling details that might give you some better knowledge to decide what the best companion vegetable is for your beets. Check out this famous book here for one of the most well-known readings about this topic. First, let’s explore just a small bit about growing beetroots. Beets are one of those vegetables that seems to lend itself well to many dishes and salads. Both the beetroots and the beet greens can be harvested. Beets are so easy to grow, so it is no wonder why many want to seek the perfect companion plant next to them. Beets like to grow in soil that has a neutral pH between 6.5 to 7.0. Most beets require a moderate amount of balanced nutrients depending on if you want more greens or bigger roots. Beets like looser soil as the roots can grow very deep. Beetroots prefer the cooler weather, so the spring and fall times are the most ideal times to plant. Beets will grow best in full sun but will take partial shade if that is the only spot you can plant them in. Most beets will take about 45 to 60 days to fully mature. You can harvest the greens periodically while they are still maturing as long as you leave some leaves on each plant. We generally just harvest the beetroot and the beet greens at the same time because we keep things simple at the Green thumb gardens. 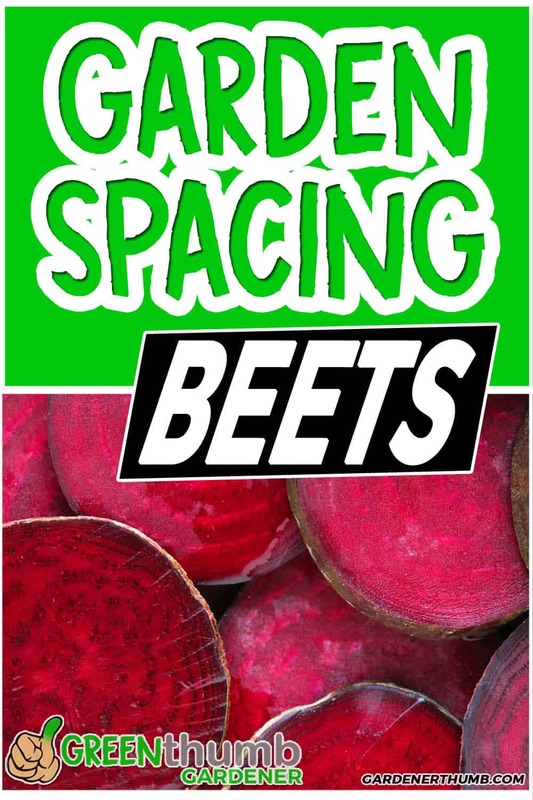 Check out our mega beet growing guide here if you want more in-depth information specific to growing beets. Let’s all talk about some considerations of companion planting. Feel free to skip down below to find the best companion plants for beets if you are already convinced and find this stuff is a drag. Companion planting is planting things together that will benefit each other. There are a number of reasons why companion planting for your beets and other plants, in general, is good to consider. Companion planting should consider the size and growth habits of your plants. Beets can be planted fairly close together and their leaves will grow out. Fully matured beets greens can get to about 7-8 inches in diameter (sometimes larger). You can still pack in beets without sacrificing the overall growth & size of the plant. However, you may have to consider other factors such as sunlight. Say if you plant beets next to a plant that grows vertically on a trellis like cucumbers. Cucumbers that grow vertically will shade part of your garden as the vines can get very dense once they are fully grown out. Beets don’t mind part shade but won’t do well in full shade. Maybe salad greens and spinach will be more ideal in this situation. Remember that the sun’s position does change throughout the growing seasons. Squash is also another vegetable plant that does take up a lot of garden real estate. Our Black Beauty Summer Squash get pretty enormous, so we plan for this to know what plants are the best companions alongside it. The 3 sisters plantings are probably a more well-known companion planting technique using squash. Squash played its role in providing some ground cover around the beans and corn that helps with much cooler and moist soil. The corn stalks provided a trellis for the beans to grow. You can be certain that the size and growth of these plants were considered in this selection. Keep all of these in mind when you are planning out your garden. The second example is to plant for weed suppression. Interplanting different vegetable plants in close proximity can help to suppress weeds. Weeds will have a really hard time growing due to the lack of sunlight that the other plants shade. Weed plants will steal nutrients from the plants that you want to actually have produced. So if you can plan for weed suppression, that’s a really good thing. Growing beets close together will help to suppress weeds around them. Lettuce is a good choice as a beets companion plant. Tuck them in between the beets bed that you may have to keep out all the unwanted weeds. The third example is to plant herbs and flowers to either attract or repel insects. Herbs are a great option that most people do. Take, for instance, lemongrass, rosemary, basil, anything that will repel mosquitoes for your porch or deck area. Let’s use this same principle and apply it to the beets or other plants we have growing in our garden space. Those plants we use will repel insects for wanting to attack the beets or other plants that we want to produce. Onions are a fantastic companion plant for beets. This is especially true if you have ever had any problems with rabbits. Don’t let those cute little furballs fool you. They will devour your entire garden if you let them, including your beet greens. Plant some onion greens in an around your beets for a perfect companion plant. Basil is another example of a good companion plant for tomatoes. Basil is known to repel the tomato hornworm, which tomato hornworms can be extremely devastating to a tomato plant. It is also said that basil will help the tomatoes grow & taste better. Thyme is also another good option with your cabbage and that will repel the cabbage worm. The opposite of repelling is attracting all the beneficial insects. Zinnia is an excellent choice of a flower to have around your garden. They actually attract ladybugs, which is a good thing if you can bring ladybugs into your garden. The ladybugs will decimate insects soft-bodied insect pest, like aphids. The last example to consider is the root depth of all your vegetables to maximize nutrient efficiency. You don’t want to plant a bunch of shallow-rooted vegetables together, otherwise, they will be competing for all the nutrients at the same level under the soil. You want to take a look at all the things you’re going to grow in your garden, figure out how deep all of their roots grow and then organize your space based on that to maximize what your plants can take up. So let’s say, for example, you want to grow lettuce, tomatoes, and beets. Lettuce are shallow rooted vegetables; tomatoes have medium deep roots; beets are deep root vegetables. All of those three together are really good. But let’s say you want to add in another deep-rooted root vegetable like potatoes. You want to make sure that you’re not planning them next to the beets. You want to keep them separate from each other so that they’re not competing for nutrients. While on the topic of nutrients. Make sure that there are nutrients in your soil for your plants to take up. You might want to always add a good starter fertilizer into your raised beds and containers. This particular fertilizer found here is a Green thumb Gardener favorite. What can I plant with beets? What Grows Well Next to Beets? Lettuce is one of our favorite plants to grow next to beets. We already discussed above the benefits of weed suppression when you grow certain plants close to each other. Lettuce can be easily placed in between beets to help crowd out any weeds. Both lettuce and beets do very well in the cooler weather, so they are a natural choice as companion plants. What plants should not be planted together with Beets? These are some of the plants that probably would not do well next to beets. Keep in mind the considerations that we mentioned above as this list doe not take into account every possible garden scenario. Most of the information presented is more of a collection of what works and what doesn’t work throughout the years as gardeners. There is really no specific studies done on this, so it is tough to give you concrete data. Sometimes it is just from a collection of garden notebook data from experienced gardeners. Trust me, sometimes this is the best kind of data that you can use to be a successful gardener. Experiment with your plants. We are always are curious to test the bounds of gardening and try to experiment with small sets of plants as much as we can to see what works best. The most important Green thumb Gardener advice we can give you is just getting your hands dirty instead of worrying about what is the best companion plant for beets. Thank you so much for this wonderful website. I live in the country and have very limited bandwidth so your uncluttered website is amazing. No videos or nonsense running in the background to slow my reading. Thank you so much for the great information.